Top 5 Blue Marlin Lures - Port Stephens 2018 Garmin Billfish Shoutout! 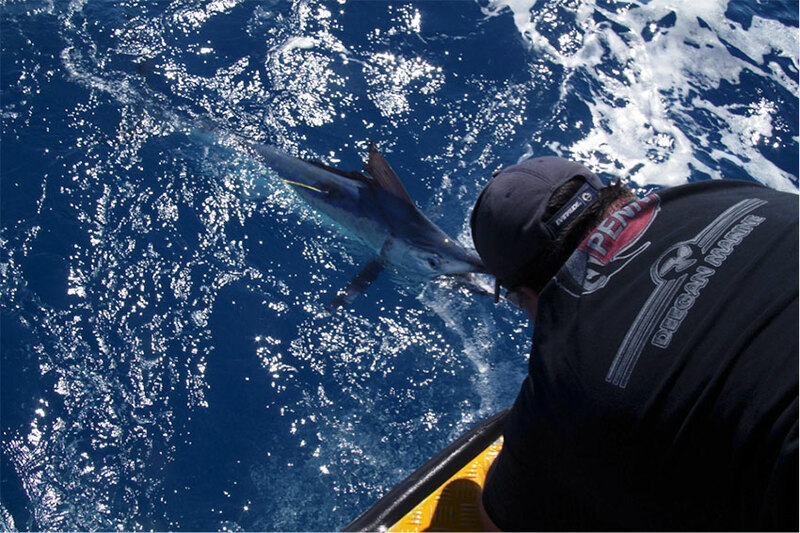 The 220kg Blue Marlin, the $50K Prize ...and the Self-Disqualification! The weather is OK here in Tasmania at this time of year, but it didn't take too much arm bending when the phone rang inviting us to fish a tournament in Queensland. Hervey Bay club president Brad Rocke heads a small committee that puts on a fabulous little tournament (the Hervey Bay Game Fishing Classic), which this year was held from 12-15th November. The logistics for a small club to hold a game fishing comp 30 nautical miles from its home base are significant. Taking into account that all shapes and sizes of vessel are welcome. This is due to the fishing grounds being quite sheltered by most sea and wind conditions. The base anchorage for the competition is 30 nautical miles from Urangan at Rooney’s Point. The actual fishing grounds take up the areas inside and outside Break Sea Spit and out to the continental shelf. The weather for the event was quite mild and we did not encounter the spit at its worst but day one had enough wind and swell on the area to see how it could, and is, a very dangerous place. The distance to the spit from Rooney’s is around 10 nautical miles and the subsequent run to the shelf once clear of the sand spit is about 9 nautical miles. The fishing itself is classified into 3 sections. Light tackle INSIDE, light tackle OUTSIDE and heavy tackle. 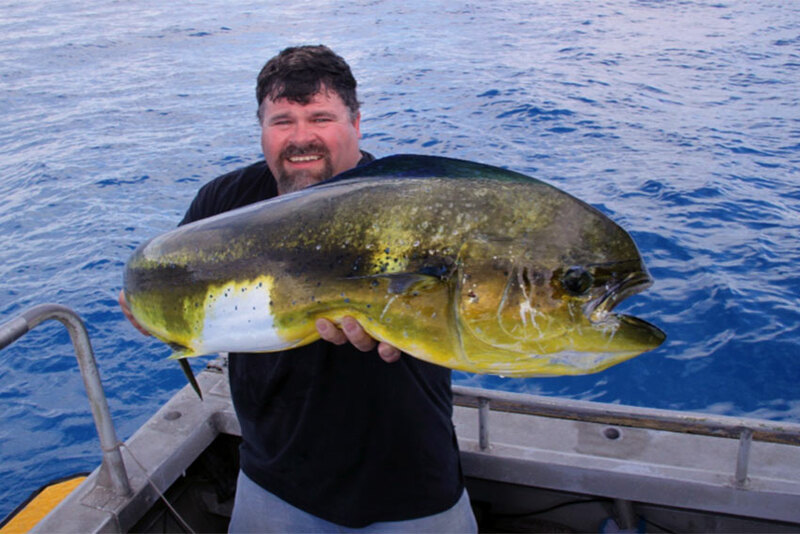 The species of fish available to wrangle are extensive and provide a great deal of action. Small Black Marlin are quite plentiful and provide a lot of visual action when they strike and also if you are lucky enough to get a hook set. Getting a solid hook up while fishing light line (8kg) takes some specific technique and like all fishing a bit of luck. These little fish are what we had in our sights. We fished the last day on the inside and found some Spotted Mackerel for the table! We fished the light line section for most of the tournament and utilised the sweet 16VSX International reels from PENN and Stren Hi Viz line in the new green colour. We ran a combination of lures and were very keen to swim a selection of Zacatak Lures we had put together in the Tiny 9MM and Tiny Midge heads. These game fishing lures worked very well and I was super impressed with their performance. The colours and skirts were varied and we caught a range of fish on them. That is of course important, but what I was most impressed with was their ability to hold in the water and work in a variety of sea conditions. 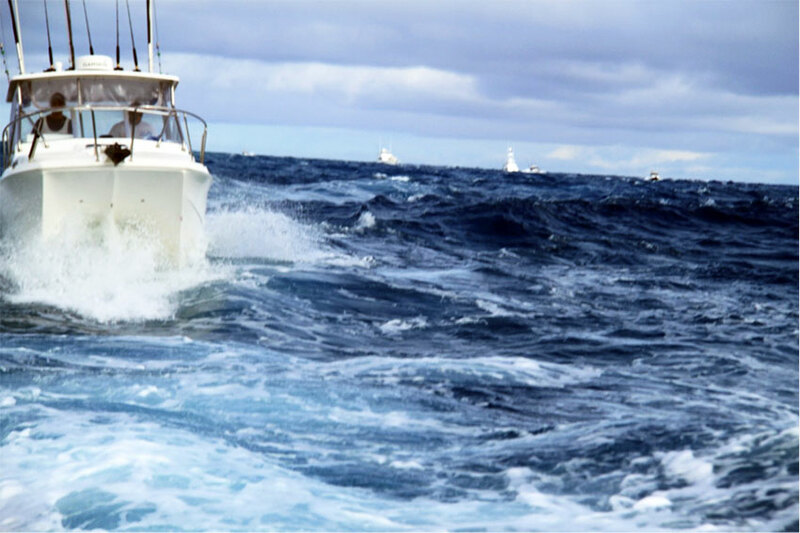 On the first day we had some swell and wind that had me thinking our spread may be compromised when running cross and down sea. Having lures in the water running well and not hopping or being blown out is crucial in maximising your opportunities when they present. Watching the spread with eagle eyes! The smallest lures in the Zacatak range really impressed. In some arduous conditions for light line skirted lures they held in and provided a great smoke and bubble trail. Popping their heads out occasionally to breathe and then go sub surface again with plenty of trail. They looked a million dollars and some Joovy Blacks and Dolphin fish agreed. Watching the lure spread and concentrating on their performance meant I saw a good number of the exciting strikes. Heading back over the spit and along the northern tip of Fraser Island we would return to safe anchorage and do it all again the next day. 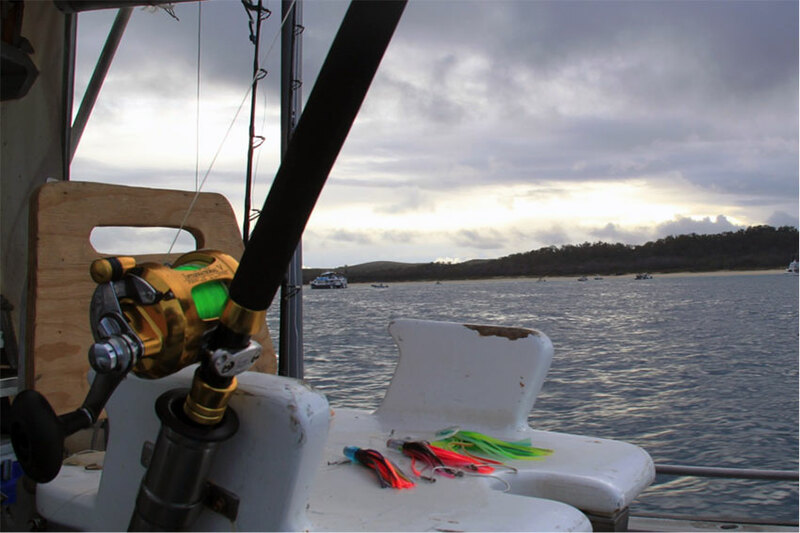 The Hervey Bay Game Fishing Classic is a tag and release tournament. 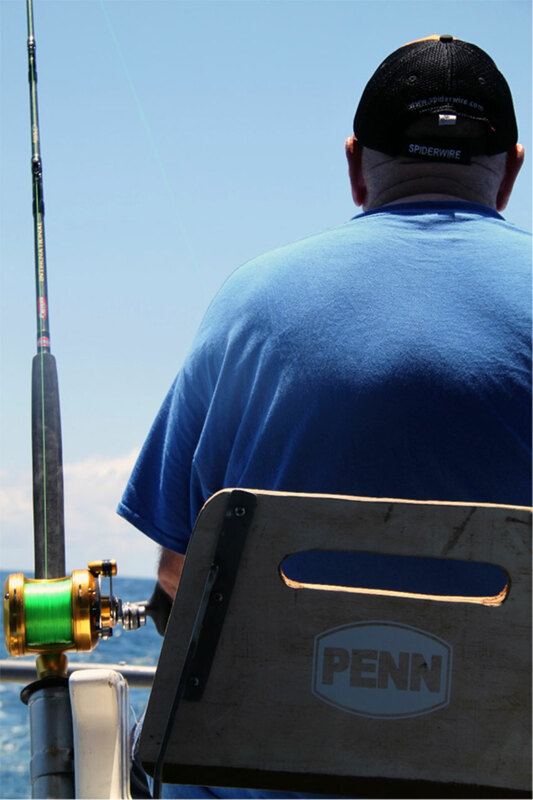 The Hervey Bay Game Fishing Classic is a three day comp and we had an absolute ball. We must say a huge thank you to KJ and his crew - 'Tiny' and his son Glen. They knew the spit crossing like the back of their hands and where to find the fish. We managed to tag four marlin and two mahi mahi. Zacatak Lures at rest after a hard days swim. Anchorage and mothership in background. We had a heap more strikes and hook ups, but those athletic and aerobatic fish are hard to get boat-side for a tag! Really looking forward to next year and swimming some more Zacataks. The last day of the comp we fished inside and found some table fish every bit as keen to eat the Tiny 9mm and Midge lures we presented, as we were to eat them. 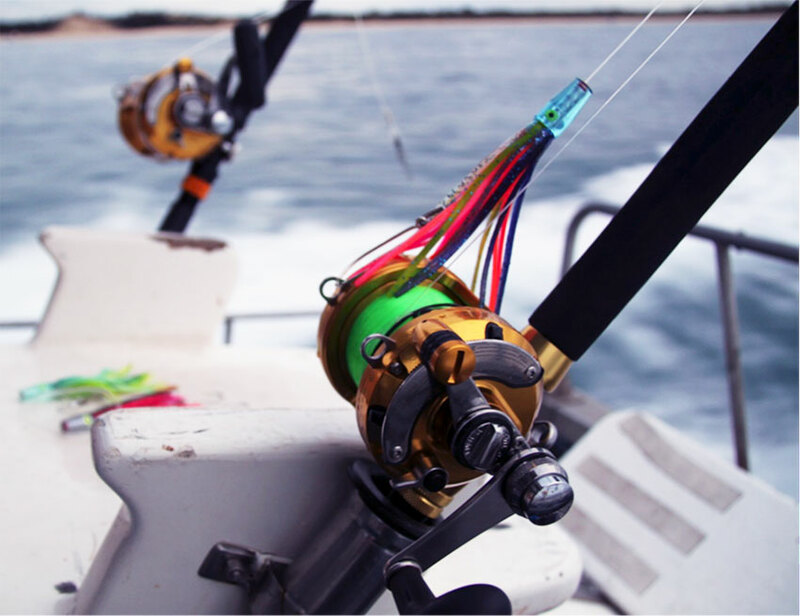 Zacatak Lures is the culmination of a lifetime passion for both game fishing and manufacturing. 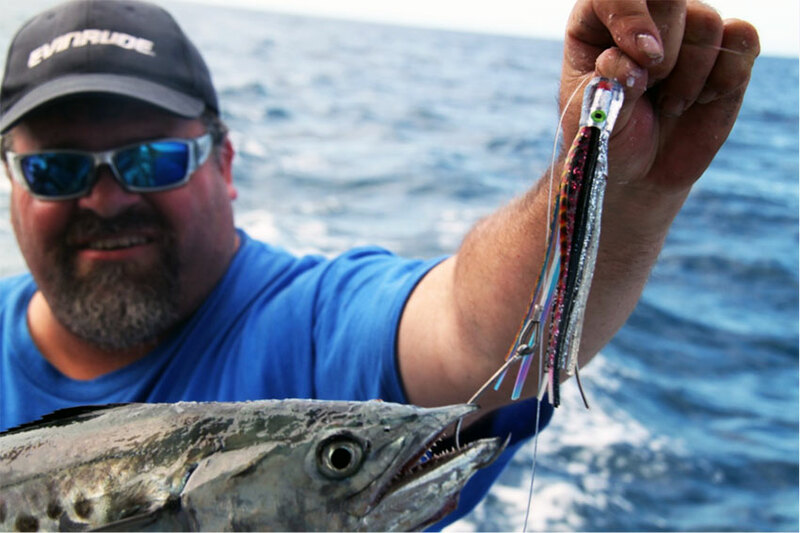 Our business is built on over twenty years experience in developing and producing successful marlin and tuna game fishing lures. Over time, we’ve learnt what works… and what doesn’t.